2013 The Year without Summer is a warning. 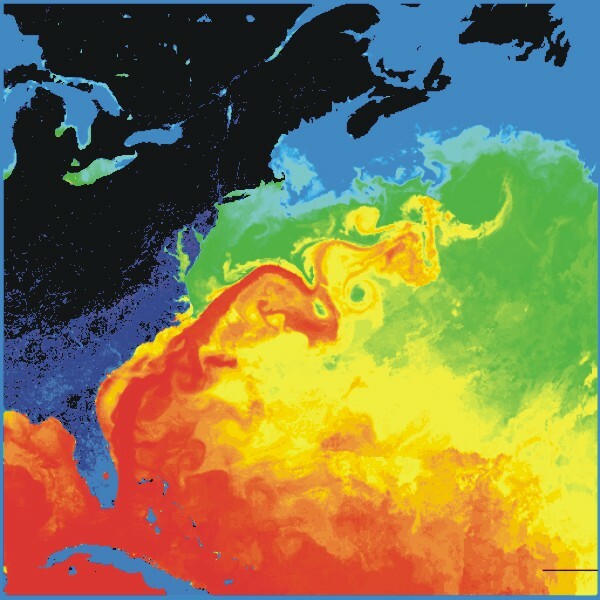 In June 2010 the Gulf Stream stopped due to the oil spill in the Gulf. This then effects the Jet Stream. Both of theses streams affect the weather. Hence, our strange world weather patterns we are experiencing now. Regardless of what caused this. The fact of the matter is we are now feeling the effects. The Year without Summer is a warning of things to come. Truth is, this very thing happened in 1816, but things are much different now. Things are going to get worse. We are living in unprecedented times as records are being broke for weather all over the world. Everybody is concerned about Global Warming and in fact this is happening, from the inside of the planet out. Meaning our core is hotter than before. This is happening with all the planets in our solar system. More important is the effects this is having on world weather. The Gulf Stream is a strong, fast-moving, warm ocean current that originates in the Gulf of Mexico and flows into the Atlantic Ocean that warmed up the northern hemisphere. Since it’s stopping we can expect a cooling of the northern hemisphere and lo and behold that’s exactly whats happening. 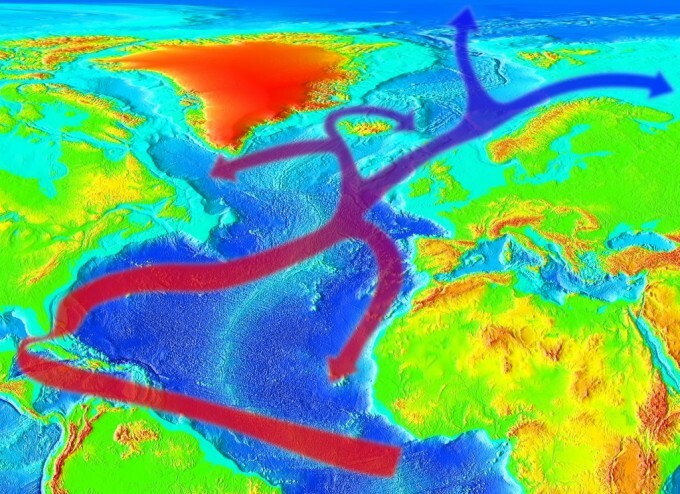 The greatest impact the Gulf Stream has on climate is found in Europe. Since it flows into the North Atlantic Current, it too is warmed (though at this latitude the sea surface temperatures are cooled considerably), and it is believed that it helps keep places like Ireland and England are much warmer than they would otherwise be at such a high latitude. For example, the average low in London in December is 42°F (5°C) while in St. John’s, Newfoundland, the average is 27°F (-3°C). The Gulf Stream and its warm winds are also responsible for keeping northern Norway’s coast free of ice and snow. As we see now Europe is having some very cold and different weather than in the past. This will continue until the Gulf Stream starts up again. No one knows when that will be. Meaning they are looking at a mini Ice age. Weather extremes will become the normal for this area. This means their growing of food crops is going to be effected and already is. Did you hear about the hail and floods in Saudi Arabia? 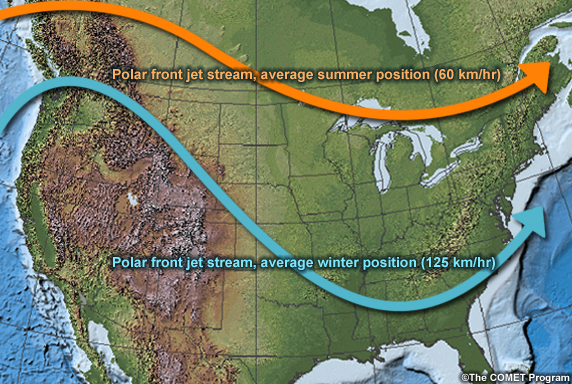 The Jet Stream affects the weather here in the U.S. and as we can see this year looks like the year without Summer. The Jet Stream acts like a moving wall with cold air above and warm air below. Cold air is very dry and warm air carries more moisture. As of the posting of this article the Mid West has been hit hard by adverse weather and the growing of our crops is going to take a hit as well. As the cold air mass has moved farther south and appears to be in a holding pattern. As we all know the mid west is where most of our crops are grown. If this doesn’t change soon there will not be time to grow the crops needed to fill the store shelves. Jet streams are fast flowing, narrow air currents found in the atmospheres of our planet Earth. The main jet streams are located near the tropopause, the transition between the troposphere (where temperature decreases with altitude) and the stratosphere (where temperature increases with altitude). The major jet streams on Earth are westerly winds (flowing west to east). Their paths typically have a meandering shape; jet streams may start, stop, split into two or more parts, combine into one stream, or flow in various directions including the opposite direction of most of the jet. The strongest jet streams are the polar jets, at around 7–12 km (23,000–39,000 ft) above sea level, and the higher and somewhat weaker subtropical jets at around 10–16 km (33,000–52,000 ft). The Northern Hemisphere and the Southern Hemisphere each have both a polar jet and a subtropical jet. The northern hemisphere polar jet flows over the middle to northern latitudes of North America, Europe, and Asia and their intervening oceans, while the southern hemisphere polar jet mostly circles Antarctica all year round. On these Streams of air and ocean currents, Storms are carried and formed since the change in the Gulf Stream our Jet stream has change. As one can see it has moved south and now comes up from the southern part of the Rocky mountains as opposed to over the northern part of the Rocky mountains as it use to. This causes more moisture to be brought up from the tropics and when it hits the cold air from the north cause extreme weather and larger snow falls. We are in for some rough times ahead as food cost will constantly be on the raise. If we can find food in the stores at all. Shorter growing seasons and weather changes are going to be our normal as well. If one hasn’t already, one may consider supplementing their food supply with home-grown Vegetables and Herbs as the food shortage is going to get worst before it gets better. In years to come it maybe necessary to grow in a home greenhouse. This may no longer be a luxury item but a necessity. Those serious about survival may what to revisit their thinking about the purchase of a Greenhouse. The Year without Summer is just the beginning. The Year without Summer. What does next Winter have in store? 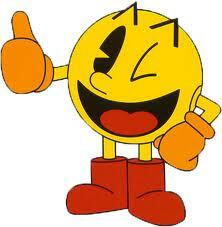 2013 The Year without Summer, We’re in for One hell of a Winter! Next Nibiru, Truth or Dare?